The lineup includes kettles, propane burners, false bottoms, scales, thermometers and more. Front of the box. 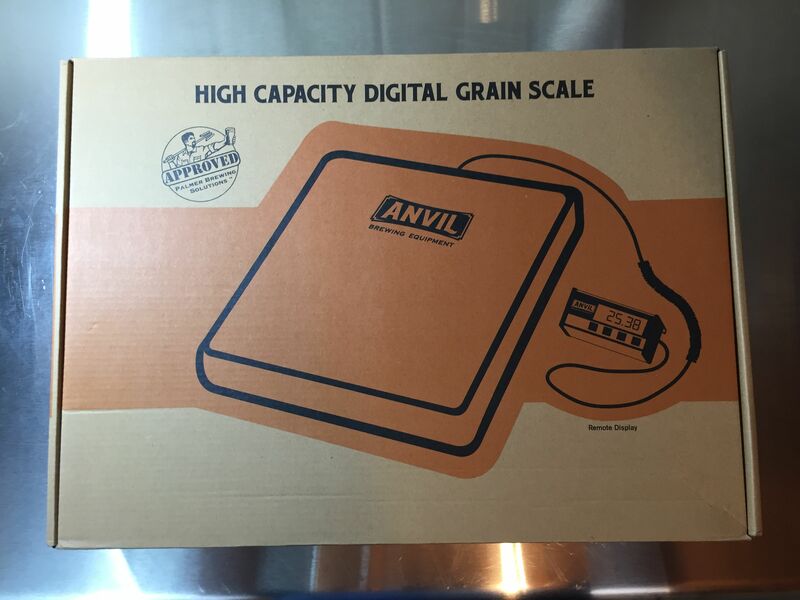 Reads High Capacity Digital Grain Scale and Palmer Brewing Solutions Approved. Side of the box. 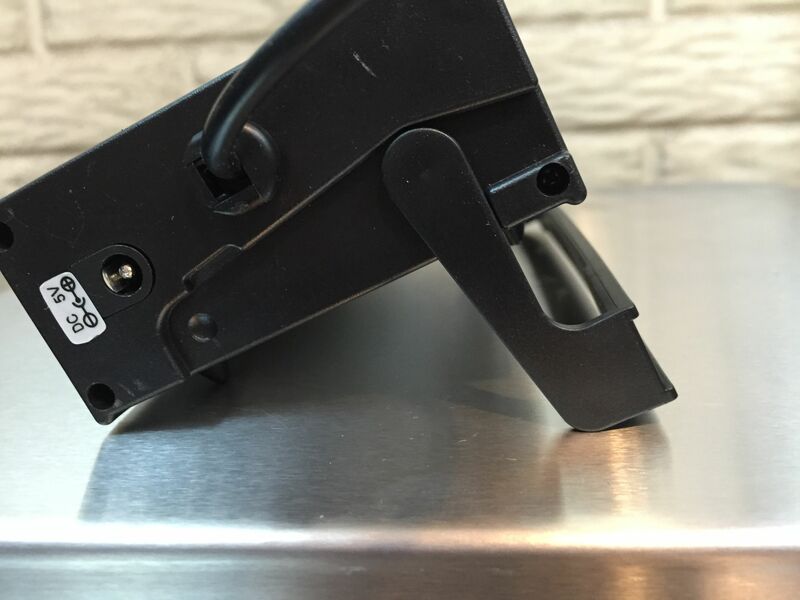 Reads 65 lbs x .02 lbs (30 kg x .01 kg) Capacity, Selectable lb, kg units. 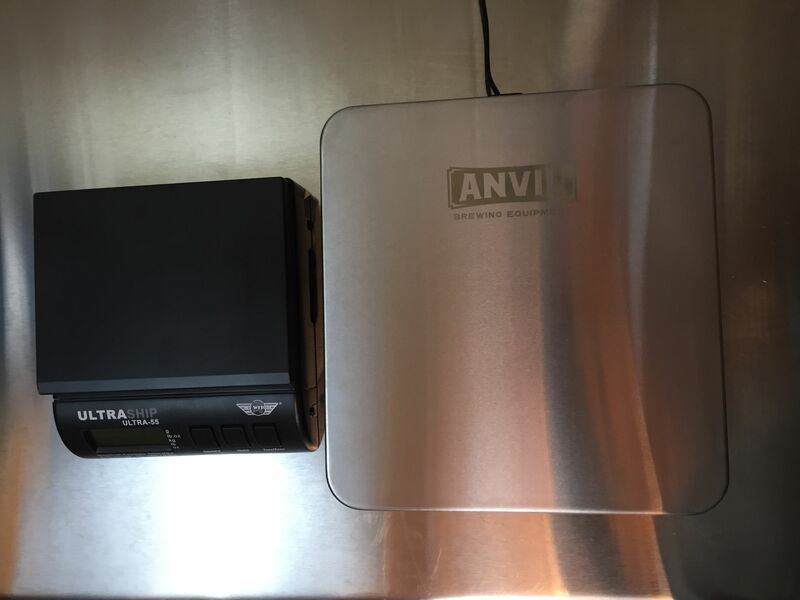 Remote display with 6 ft cable (2m) allows use of over-size weighing container. 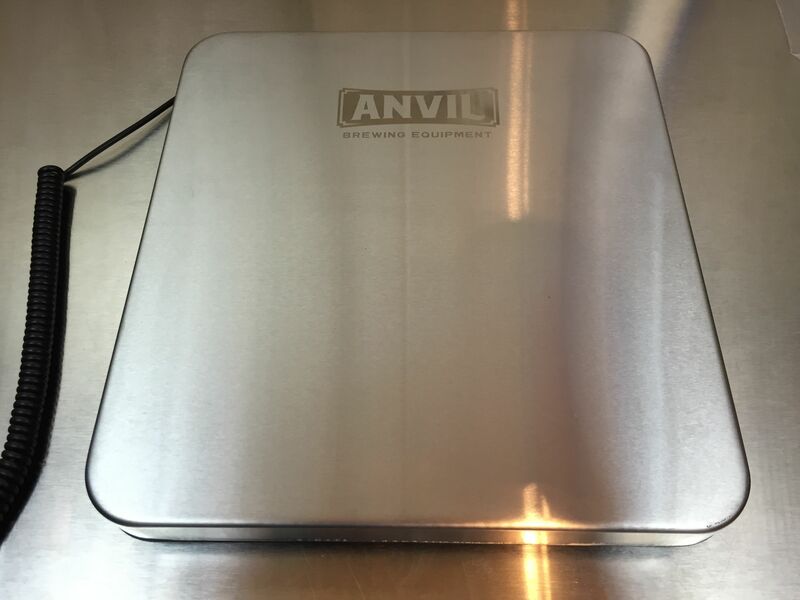 Extra-large 12″ x 11.75″ (300 mm x 315 mm) brushed stainless steel weighing surface. 4 AA batteries and AC power adapter included. The platform along with remote display unit. The remote display unit means large containers will not cover up the readout. It also has a long 6′ cable and mounting holes. 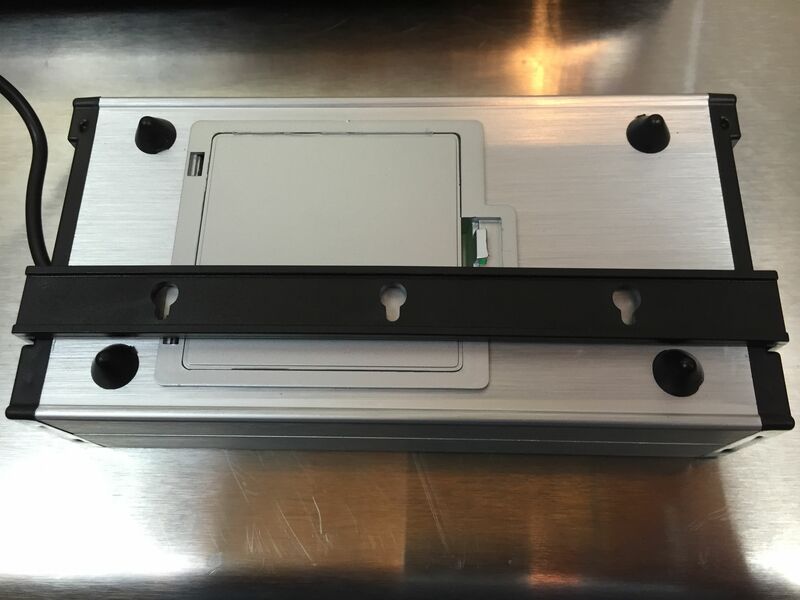 That means you can mount the display on a wall for easy access and keep the weighing platform on the floor. Back of the remote display. This is where you put the batteries in. 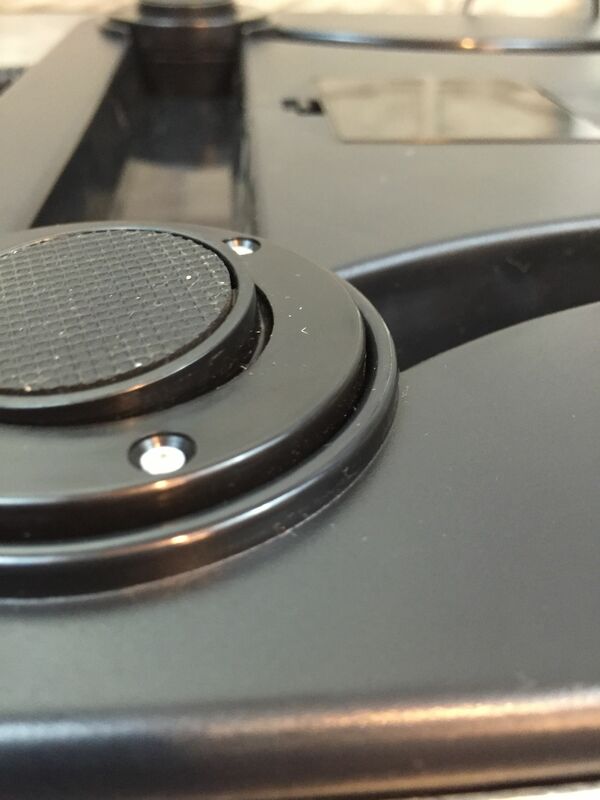 You can also see mounting holes should you choose to wall mount the control unit. 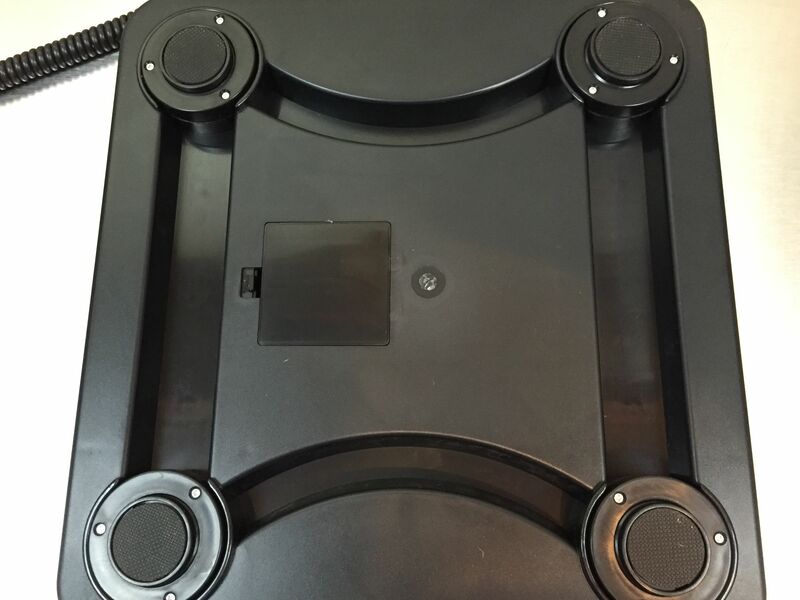 Along with having mounting holes, the remote display also has legs if you decide to place it on a flat surface. This picture also shows the connection for the included power cable if you choose to use that. A look at the undersize of the weighing platform. 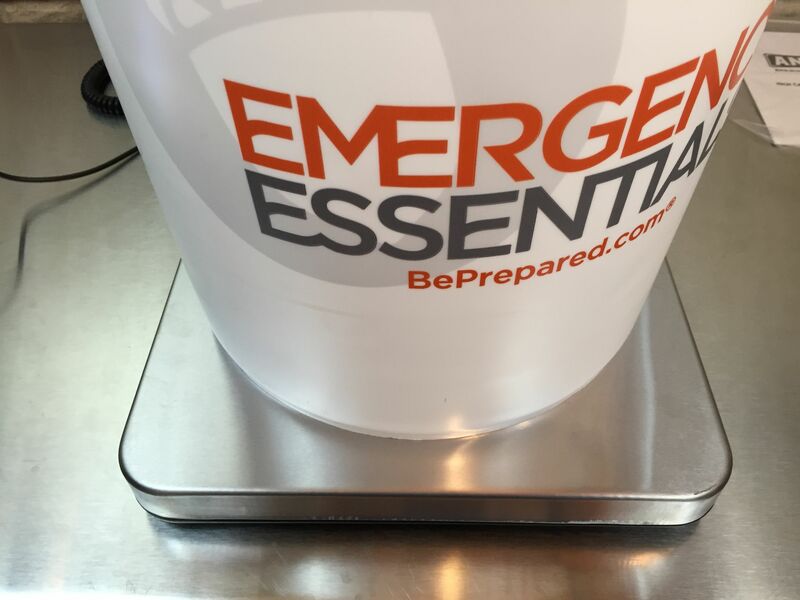 The scale has four rubberized feet. The feet move a bit to assist in leveling the scale platform out. This picture shows one of the feet slightly angled. I’m holding that down to show that the feet move. 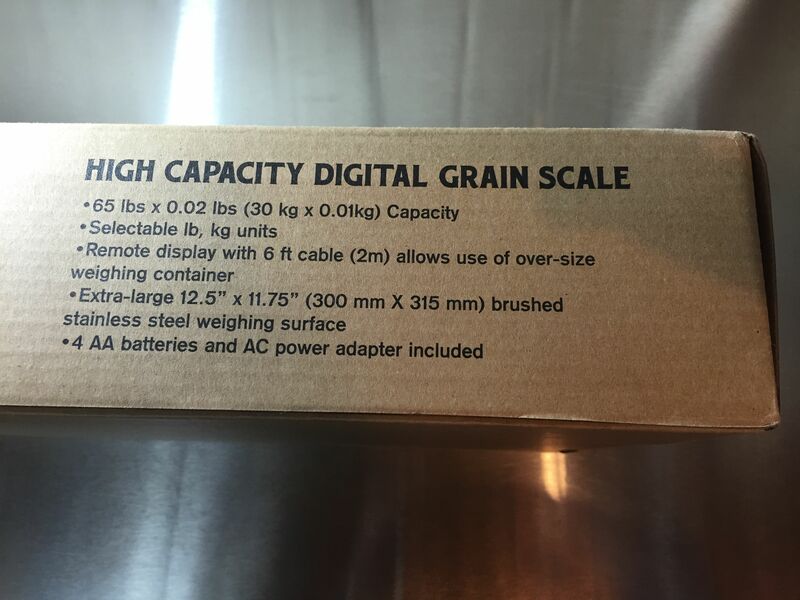 This is grain scale and is not intended to weigh smaller weight items. 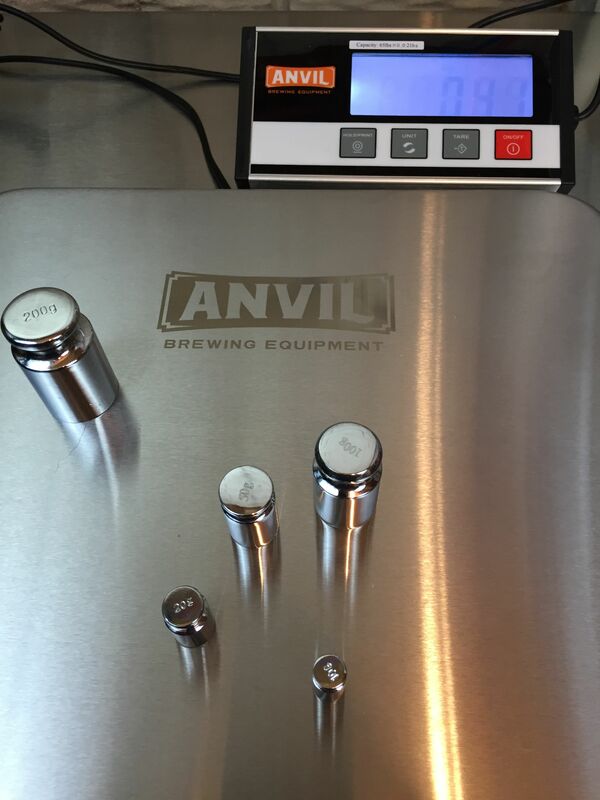 A Precision Small Scale is available to weigh hops and such. At the time I took this photo, I only had smaller calibration weights. Here are 4 smaller weights (a total of .4 kg) weighing out at .41 kg. Poor little weights. 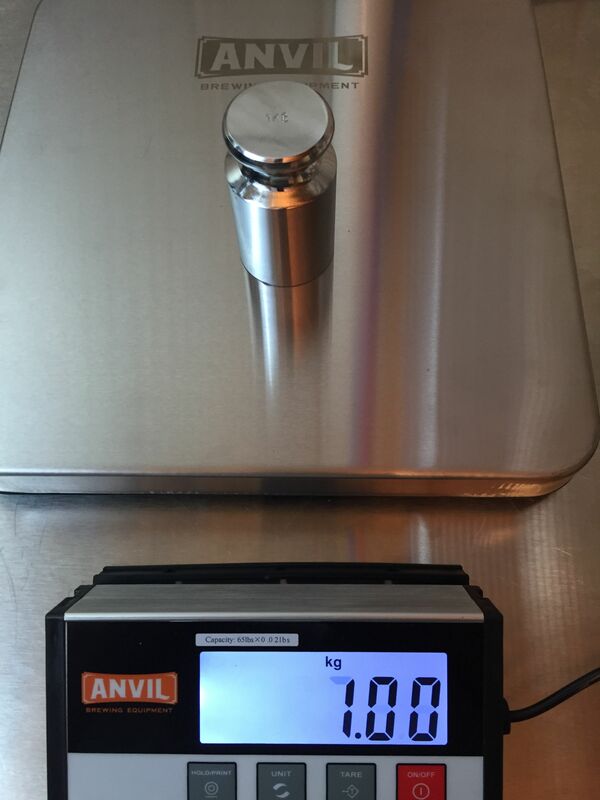 Here’s the 1 kg weight reading… 1 kg. Whammo. 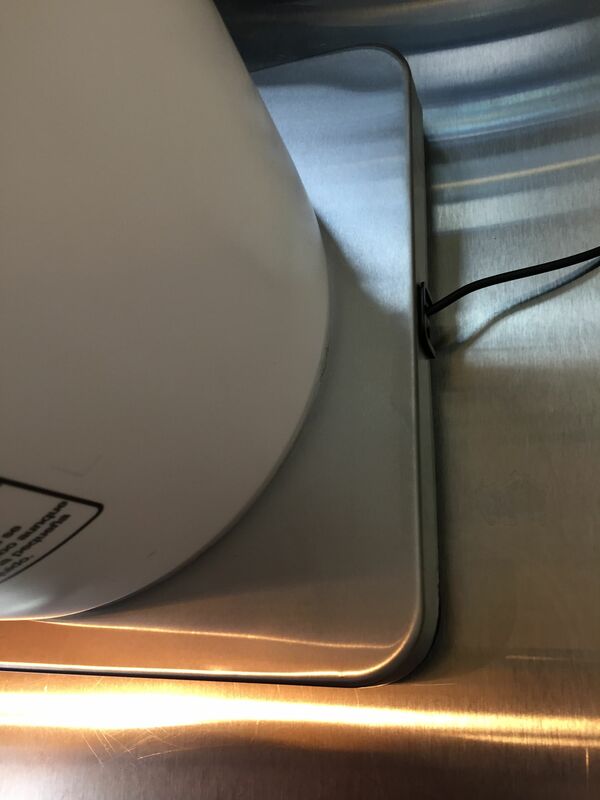 One of the big benefits of this scale is the large weighing platform. Here is a 6 gallon bucket on the platform. Plenty of room. With the bucket centered-ish on the platform, you can see there’s plenty of room. Even if you used something larger than a bucket, you’d probably still be okay. 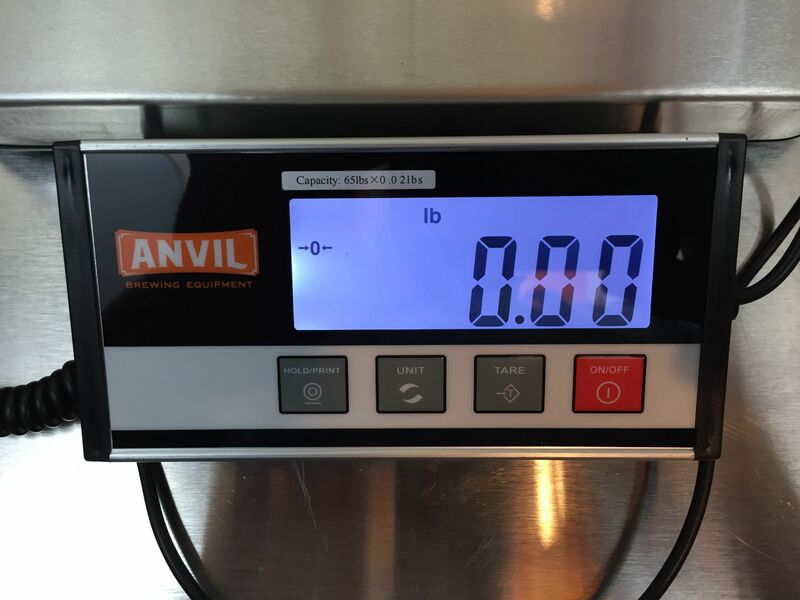 The remote display means you can continue to read and control the scale even when you’re weighing larger objects. A side by side size comparison vs my previous grain scale. Here’s the tare feature in action. 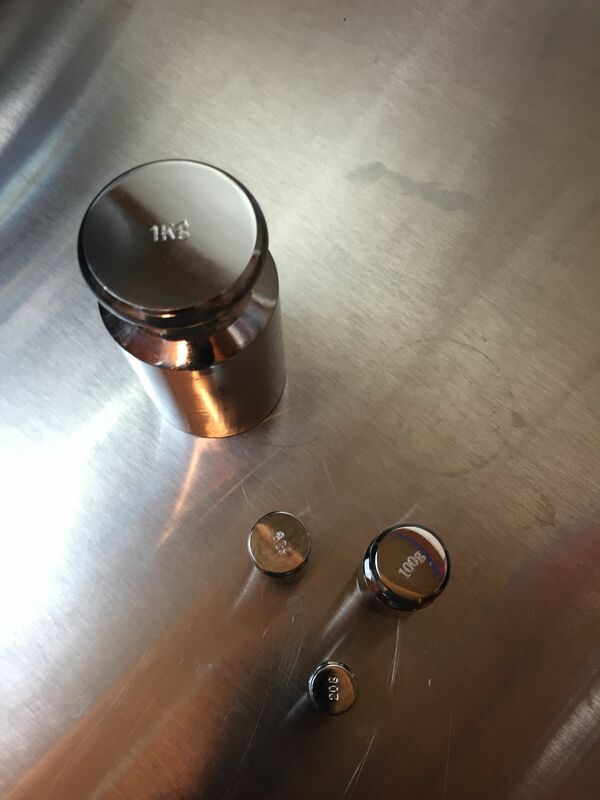 Weigh the container you’re going to use. Hit the tare button and the scale zeroes out. That allows you to weigh the contents without factoring in the container weight. 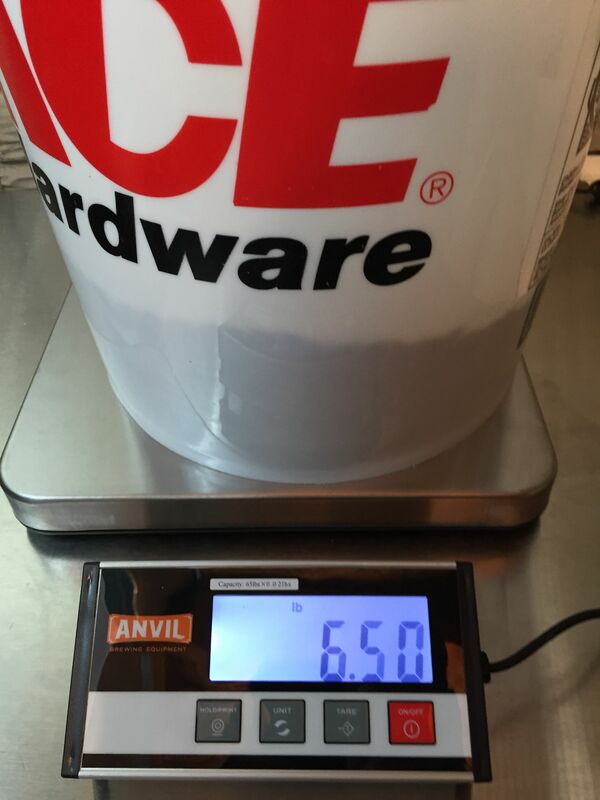 Weighing half of the grain bill for a small batch brew of Great Fermentations “Piney the Welder” kit. 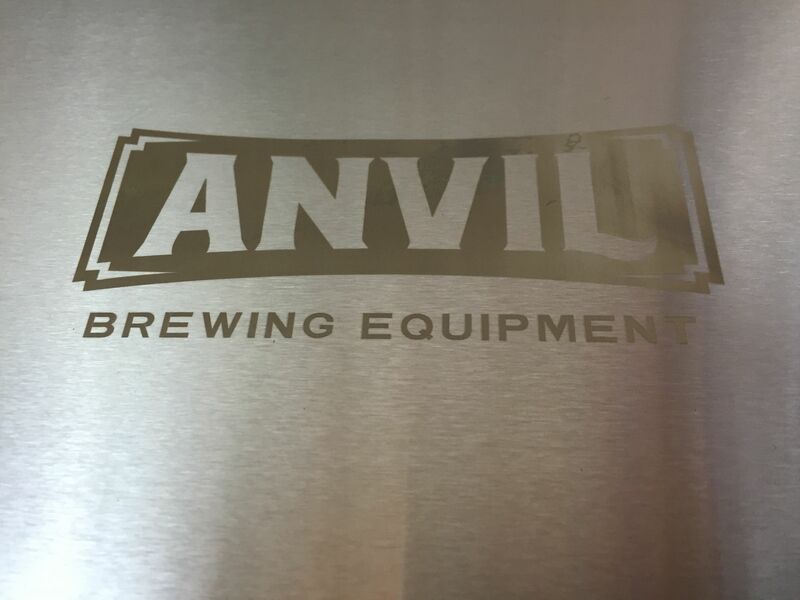 The Anvil Large Platform scale was designed with home brewing in mind. It’s well made, accurate and looks great. It has some thoughtful touches and sports all of the features that an all grain brewer needs to easily and accurately weigh grain. 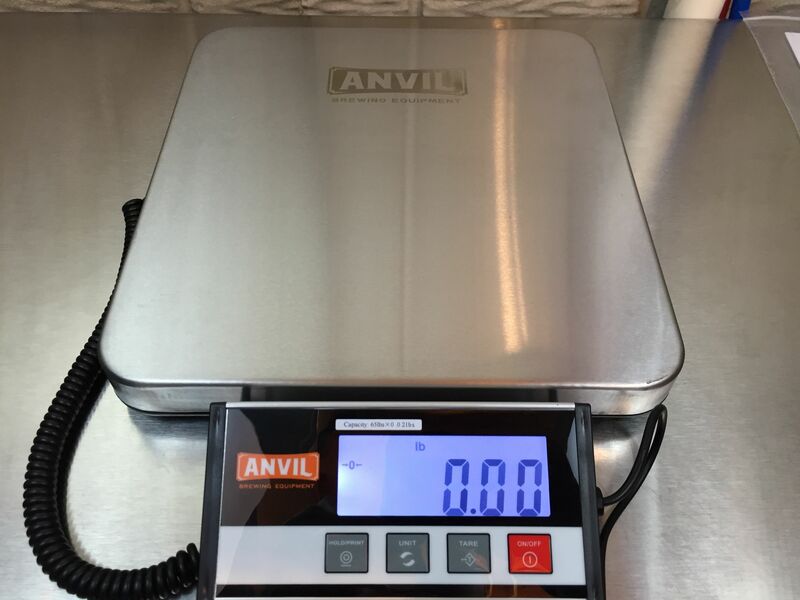 Check out the Complete Anvil Lineup – Kettles, Burner, False Bottoms, Ball Valves, Dip Tubes, Thermometers, Mash and Stirring Gear and Scales. 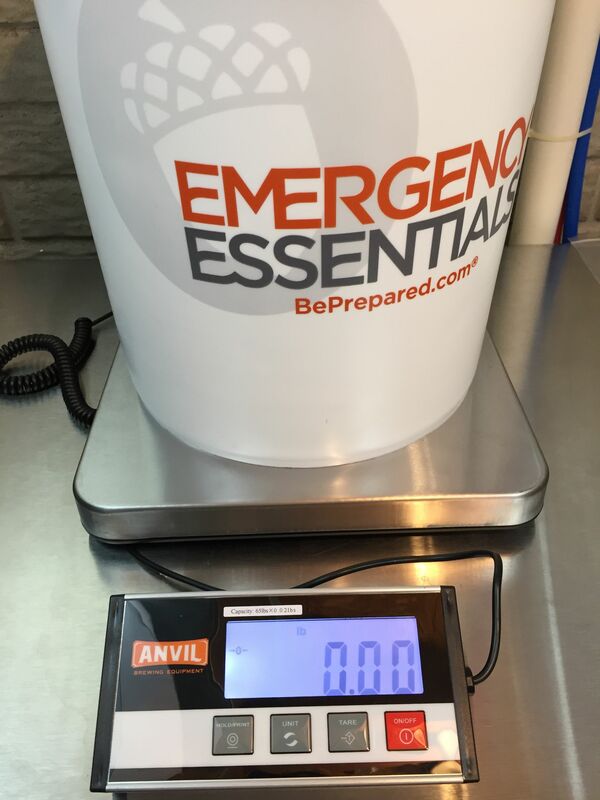 Thanks to Great Fermentations and Blichmann Engineering for providing me with this scale to try out. This entry was posted in All Grain, Blichmann, Featured Reviews, Great Fermentations, HBF Tested, Reviews, Reviews & Top Posts, Scales on December 15, 2015 by admin.